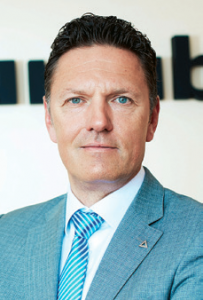 Tim Kurth was appointed CEO and vice president of Aurubis Bulgaria in 2014. As of 2015 he is also president of the German-Bulgarian Chamber of Industry and Commerce. He joined Norddeutsche Affinerie (nowadays Aurubis) in 2006 and occupied various managing positions, including group innovation manager and vice president in charge of corporate logistics before taking his present position in Bulgaria. What are Aurubis Bulgaria’s short and mid-term expectations regarding the markets of concentrates and your production? Prices are stable and we expect this trend to continue. Favourable conditions on global markets impact not only our direct operations but also our partners along the supply chain, as they too get an additional incentive to invest in projects. We are constantly looking for long-term relations with our partners along this chain, as this gives us security. We cannot influence external factors such as foreign currency exchange rates, the prices of metals, changes to major trade agreements or international politics. However, we need to be prepared for different scenarios, and that is what we are doing. The plant in Pirdop has good foundations which we constantly build on, and we are optimistic about the future. This year we are marking the 60th anniversary of the plant. We look at the past with respect and we are thinking about the future. Since 1997, over 1.2 billion levs have been invested in upgrades and environment protection. In November we will announce a new investment programme. We invest a lot in programmes for training and higher qualification. We have launched dual education classes in the region together with partners to prepare our future employees. We always think long-term. Some of our projects have a timeframe of 2040 and further on. What challenges do you face on the regional market and where do you see untapped opportunities? member of the EU, with stable growth and reasonable fiscal policy. Thirdly, we work in Srednogorie region in Bulgaria where the infrastructure and the demographic situation are good. In the long-term, we will count on our non-core products, as well. We are investing in research and development. Our R&D units in Hamburg and Pirdop are exploring together the opportunities for more efficient extraction of metal from cоncentrate. We are searching for possible uses of slag such as iron silicate. We want to expand our positions on the recycling market. The Aurubis plant in Luenen is the world’s biggest recycler of copper scrap and this gives us a competitive advantage. Complex metallurgy and circular economy are the future. Demand for metals will continue to grow. The ratio between the end-industry users is changing, with new technologies taking an increasing share. Manufacturing a conventional automobile takes some 20-25 kg of copper, while for hybrid and electric vehicles this amount exceeds 100 kg. A wind generator and its infrastructure need over 20 t of copper. Demand for non-ferrous metals in the ICT sector too will continue to increase. There are no high technologies without basic industries. How do you expect the power market to affect your performance in a short and mid-term perspective? Our plant in Bulgaria is one of the biggest power consumers in the country. At the same time, the bulk of our output is exported. We generate 9% of Bulgaria’s exports, which is a significant contribution to the country’s GDP growth. That is why we are not impartial to the development of the power sector. Having predictable legislation and stable prices affect not only us directly, but Bulgaria’s economy as well through our production.